Sito was born in the year 2352 in the village of Ikreimi on Bajor, the daughter of Sito Keral. Her father was the cousin of Doctor Mora Pol. While in Starfleet Academy in 2368, Sito Jaxa was a member of Nova Squadron, along with Wesley Crusher. Under the direction of Cadet Nicholas Locarno, Nova Squadron attempted the dangerous Kolvoord Starburst maneuver during a flight exercise – an action that resulted in a collision and death of fellow cadet Joshua Albert. Sito and her fellow cadets lied about their flying of the illegal maneuver to a board of inquiry led by Rear Admiral Brand and Captain Satelk. When the crew of the Enterprise-D discovered inconsistencies in the report, Captain Jean-Luc Picard reprimanded Cadet Crusher and threatened to go to the board of inquiry himself, but Crusher eventually decided to reveal the true cause of the accident. Locarno took the blame and was expelled from the Academy, while Sito and the other cadets had their academic credits from the past year canceled. 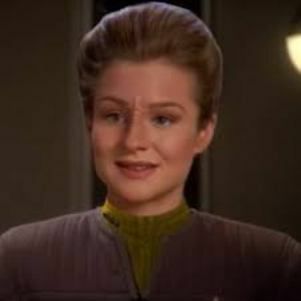 Sito remained at Starfleet Academy, despite the stigma attached to the cadets involved in the cover-up. Sito had to take her flight test with the instructor because no other cadet wanted to be her partner. After graduating the Academy, Sito was assigned to the Enterprise-D at the request of Captain Picard because he wanted to make sure she had a fair chance to redeem herself, although she did not realize that at the time. Sito worked in the security department under Lieutenant Commander Yar, and developed close friendships with fellow junior officers Sam Lavelle, Nurse Alyssa Ogawa, Taurik, and Ten Forward waiter Ben. In 2372 Sito was stranded on the Prometheus when it was forced to slide from her quantum reality. After arriving in the Prometheus' home quantum reality she was assigned to the Enterprise-E as a Security Officer. When Lieutenant Vale was named the Security Chief in 2376 Sito was named her assistant. In 2379 she was part of the Delta team under Lieutenant Vale which was assigned to infiltrate the nadion-pulse cannon firebase located underwater in the Nokalana Sea on Tezwa. When Vale took the Second Officer posting on the Titan Sito was promoted to Lieutenant Commander herself and named the ship's Security Chief.